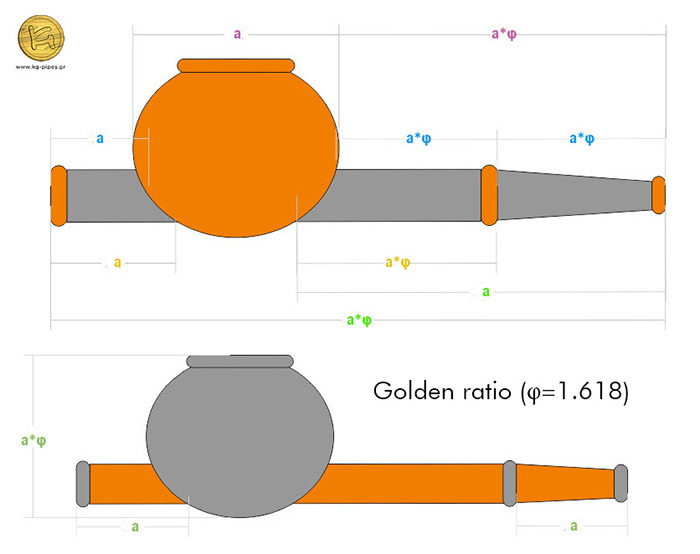 and complies with "Golden Ratio" proportions. A Greek scholar named Pythagoras, who lived in the 5th century B.C.E., has often been credited with discovering one of history's most enduring mathematical concepts: the Golden ratio. It's called "φ" (Phi) and equals to about 1.618. Length proportions which follow this ratio can be found in Acropolis Parthenon, The Great Pyramid of Egypt, Notre Dame Paris, Stradivarius violins etc. Two versions: A non filter and one that carries Aspida system.